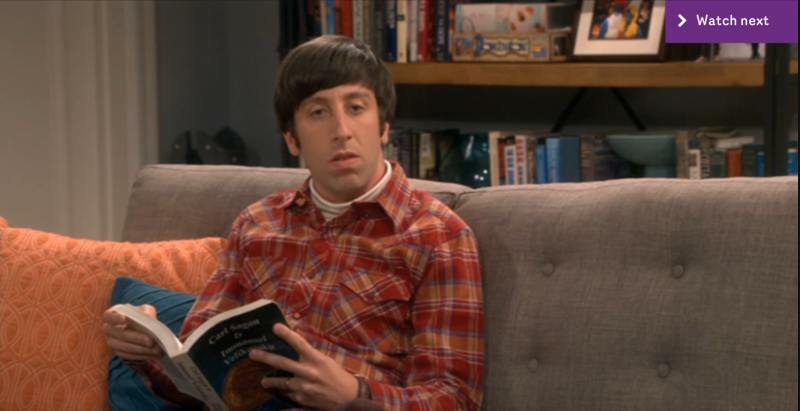 This evening episode of The Big Bang Theory "The Procreation Calculation" (S1203), just after the main title sequence, seems to show Howard reading a copy of Charles Ginenthal's book, "Carl Sagan and Immanuel Velikovsky". That must have been a subtle statement by someone involved in the production process. 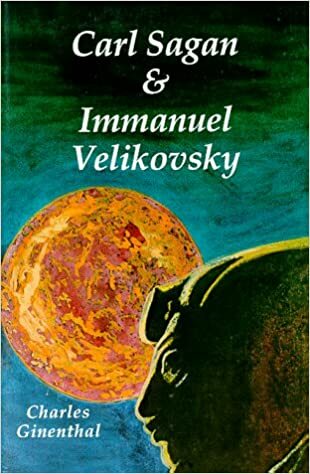 To those not familiar with the book, it is a harsh criticism of Sagan and of course, very pro Velikovsky. Along the same lines, it reminds of a scene from the movie "Invasion of the Body Snatchers" (1978) in which Donald Sutherland enters into a Mud Bath House and opens a door to find a man sitting in his mud bath reading a copy of "Worlds In Collision." He says to Sutherland's character and I paraphrase....Worlds In Collision, must reading!